Southern Maine Planning and Development Commission (SMPDC) located in Saco, Maine funded EPA Brownfields Phase I and Phase II Environmental Site Assessments in 2014 which resulted in the redevelopment of the former Hiram Elementary School. 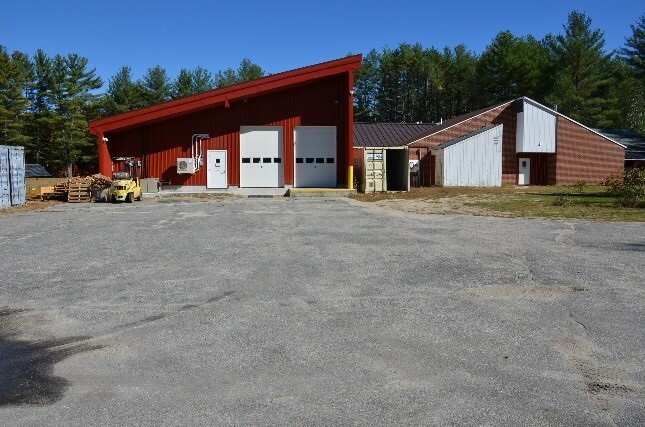 Located at 34 School House Road, in East Hiram, Maine the location is home to New England's first net-zero food facility. As a "net-zero" food production company, the company will not burn any fossil fuels and therefore will have zero carbon emissions. 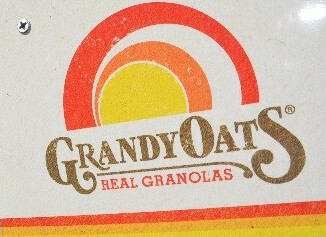 Grandy Oats, an organic granola and food producer, founded in 1979, spent 14 years in Brownfield, Maine but outgrew their existing facility and needed more space for expansion. The vacated Hiram Elementary School seemed to fit the needs of the growing business. Constructed in 1979, the school was closed and abandoned in 2008 due to Maine's school consolidation. The building was left vacant and languishing. According to interviews with local officials, the school was built on previously undeveloped land. The former school building offered 10,660 square foot of space, a single story, and land. 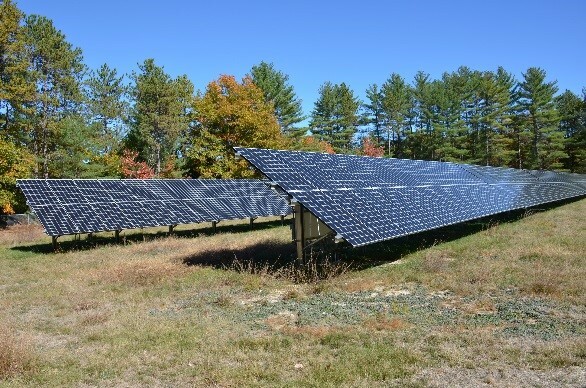 The 8.2 acres of land was zoned as commercial/industrial and provided an opportunity to both utilize an existing space and have the land space needed for a solar array to provide for the company's energy needs. EPA and SMPDC were integral in providing the initial environmental assessment funding to conduct environmental due diligence and to assess environmental concerns, if identified. EPA Brownfields monies were utilized to fund the Phase I and Phase II Environmental Site Assessments. The owners of the company understood the importance of reusing, re-purposing, and recycling and the vacant underutilized school offered an opportunity to do the right thing. Upon completion of the environmental assessments, the owners bought the property in 2015 and renovated the abandoned school. Approximately $25,000 of EPA/SMPDC Brownfields monies were spent on the assessments which leveraged $1,000,000 in additional funding including gap financing of approximately $200,000 through FAME and Maine Rural Development. The leveraged funds included the purchase of the property, relocation, rehabilitation, equipment, and installation of solar panels. Grandy Oats expansion included a new warehouse for storing raw and organic materials as well as the installation of 288 solar panels on the school's old sports field. The operators of the company specialize in making healthful food and wanted to make their energy as healthy as their granola. The solar panels will power everything at the facility including computers and ovens. Grandy Oats has seen increased growth of 25% in 2013 and 2014 to 30% in 2015 and employs 24 people. As of November 1st, all FY16 and FY17 cooperative agreement recipients should be able to view their grants in ACRES. Grantees are encouraged to login to ensure their data is now available, and to double check the information being shown in ACRES is correct. All first time grantees should be entering their first set of quarterly uploads by the end of January 2017. If you do not see your information in ACRES, please contact our help desk immediately at acres_help@usepa.onmicrosoft.com. Western Brownfields Conference: ACRES Training Success! The Western Brownfields Workshop took place September 28th and 29th in San Francisco, CA. Cooperative agreement recipients, as well as contractors and staff from EPA Regions 8, 9 and 10 attended the two day conference to learn about regional brownfields' successes, implementation strategies, and network among other grantees. Part of the workshop included a 2-day ACRES Help Desk, run by Frank Gardner of Region 1, and Kelly Gorini of EPA Headquarters. The Help Desk was extremely successful with approximately 75 conference attendees stopping by for ACRES guidance. Grantees stopping by the help desk each received a sticker to display on their name tag to show they were officially savvy ACRES users. Based on the overwhelming desire for stickers, this technique will continued to be used at future conferences! EPA's Office of Brownfields and Land Revitalization received approval from the Office of Management and Budget (OMB) for the renewal of the Brownfields Programs Information Collection Request (ICR) in August 2016. This approval allows EPA to continue using the Property Profile Form (PPF) for data collection from cooperative agreement recipients. In addition to allowing the continued use of the PPF, this ICR also grants approval for the use of the new Area Wide Planning (AWP) reporting form, tailored for reporting on the unique accomplishments achieved by AWP cooperative agreement recipients. The AWP form will be available in ACRES in December 2016. The current ICR approval lasts through July 31, 2019. A new field, 'Property Alias', has been added to the Property Background Information section, located below the 'Property Name'. Multiple aliases can be entered. Additionally, the Find Property function has been modified to allow users to search using 'Property Alias' name. To search by alias name, enter the name into either Keyword or the Property Name and click the 'Filter Now' button. The PPF will be reevaluated again in 2019. Suggestions for PPF improvements are always welcome and will be included in the discussion for the next update. Please send these to the ACRES Help Desk. Similar to the Quarterly Progress Reporting for cleanup grants, a version is now available to all users for entering/editing/approving their quarterly reporting requirements for assessment grants. See 'Frank's Tips' for more details on the benefits and use of the new report feature. The Program Accomplishment Report is faster, better, stronger! Need to know how many accomplishments your region/state has for the current fiscal year towards meeting your annual goals? This report is for you. Additional reporting has been added for non-ARC grants including Job Training, Area-wide Planning and ARRA. You can search for multiple regions, multiple years, and multiple accomplishment types when you select report criteria. You can also report by grant type (including State/Tribal or Tribal Only). The report can be saved as an Excel spreadsheet so can be printed, saved and even shared with other ACRES users. Because there is a growing number of AWP grants, the Regional Performance Report has been modified to display only the AWP grants in your region instead of AWP grants for all regions. This was requested by a regional user to simplify analysis. This new annual report is available for viewing from the Reports tab at the top of your Home page. Information for the report is gathered from the state and tribal grant community. It is used to assist the EPA in allocating $50M to grantees each year and providing reporting to management and Congress. If you have any suggestions for ways ACRES can make your job more effective, please let us know by contacting the ACRES Help Desk at acres_help@onmicrosoft.com or (703) 284-8212. For Assessment, RLF, Cleanup, and Section 128(a) Recipients just starting to use ACRES, this training will provide instruction on the process for submitting your property data and demonstrate how to use the tools and functions in ACRES. Approximately 90 minutes. For Assessment, RLF, Cleanup, and Section 128(a) Recipients that are familiar with using ACRES, this training will provide instruction on how to make ACRES work for you and your property scenarios, and the answers to some commonly asked questions. Approximately 90 minutes. For Job Training Grant Recipients just starting to use ACRES and for those already familiar, this training will provide instruction on how performance measure data are captured, including the data entry and review processes for Job Training Cooperative Agreement data. The class includes a demonstration and question/answer period. Approximately 30 minutes. "Fall has always been my favorite season. The time when everything bursts with its last beauty, as if nature had been saving up all year for the grand finale." These are the final program results for fiscal year 2016. Frank Gardner is the Brownfields Coordinator and the Regional Data Coordinator at EPA Region 1. In this role, he works with recipients to help them report their activities and successes in ACRES. Who thinks that less paperwork is a good idea? For years, recipients of EPA's Brownfields Cooperative Agreements (CAs) have had to grapple with various reporting requirements, most notably the Quarterly Reports (QR) and the Property Profile Form (PPF) reporting in ACRES. The terms and conditions of the CAs require both types of reporting even though there is a lot of overlap in terms of the information required of each. Many people have found it frustrating to have to submit written quarterly reports every 3 months and also have to enter a lot of the same property-specific information into ACRES. Duplicate reporting also means extra work for EPA's Project Officers who manage the Brownfields grants. Reviewing and tracking QRs and also having to review data in ACRES takes time away from other important tasks. Many users have expressed a desire to reduce the paperwork requirements and consolidate these divergent reports into a "1-stop shop" approach. We at Team ACRES have heard you loud and clear and are pleased we have been able to do something about it with one of the latest new development in ACRES - the ability to login to ACRES to update your PPF data and generate your Quarterly Reports via ACRES in the same session! It's not often that we are able to reduce paperwork and reporting burden, but that is precisely what this will do for you. This new function is now available for all assessment and cleanup grants in ACRES. We encourage all recipients of the new FY16 cleanup and assessment grants to start things off right by using this feature in January when their first Quarterly Report will be due. Since there were 122 new assessment and cleanup CAs awarded this year, there are a lot of people who stand to benefit from this new feature. Upon the end of each quarter, log into ACRES and select your cooperative agreement (CA). If it's your first time doing so, you may need to first associate the appropriate property records for the sites on which you are working. Remember, in many cases your property record(s) may already exist in ACRES due to previous activity under other grants. In those cases all you need to do is associate the property record to the CA instead of creating a new property record from scratch. [See previous Frank's Tips from January 2012 for more details on how to associate property records.] If your properties are not already in ACRES, then just use the "Add a New Property" option to create a new property record. If you have updates or new information to add, click "Enter Data" to reach the electronic Property Profile Form and update/enter data accordingly. Please make sure to complete the 2-step "Submit" process when you are done, so the work package you just created will be delivered to your EPA Project Officer for review. Go back to the CA home page and click on the button on the right side. ACRES will pull up the Quarterly Report (QR) template and auto-populate many of the fields by importing your newly-updated data. Complete as many of the remaining fields as appropriate, depending on the status of your assessment or cleanup project. For project timeline milestones not auto-populated, the utility will give you a calendar/date-picker to enter dates. There are also some open response text fields designed to be flexible in allowing recipients to discuss project highlights, problems encountered, sustainability outcomes, or other regional priorities. The standard QR template will bring up 4 generic tasks. Please modify the names of these tasks and add/subtract tasks as needed to match your EPA-approved work plan. If your Current Approved Budget is the same as your Initial Approved Budget, then enter the same values in both columns. If you have submitted previous QRs for prior quarters the old-fashioned way and you are just switching this grant over to ACRES QRs for the first time, enter your total costs to date in the "Costs Incurred this Quarter" column so that ACRES will be able to the math correctly going forward. You can just include a little comment to that effect in one of the narrative fields. Check over you QR for accuracy, and click the button to send the QR to your EPA Project Officer for review. Congratulations! You have just made your life a little easier and gotten all your reporting done at one time. As always, please contact your Project Officer or the ACRES Help Desk if you have any questions.